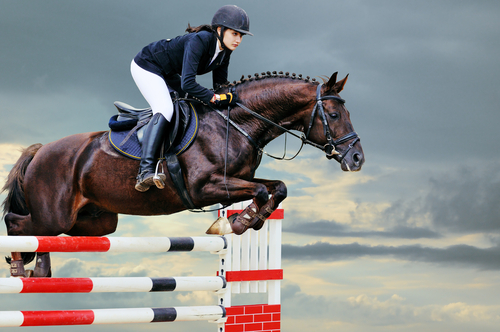 The Global Champions Tour is one of the most acclaimed and popular show jumping events in the world. In fact, the annual show is known for its worldwide array of hosts which have included London, Rome, Madrid, Shanghai, and more. Sponsored by luxury watch company Longines, the 2016 Longines Global Champions Tour is taking place in the United States this year and is being held right here in Miami Beach. Attendees will be able to see some of the world’s finest horses and riders competing for the chance of winning the highly coveted Champion of Champions title. Being that 2016 marks the arrival of the Olympic summer games in Rio de Janeiro, the competition will have plenty of high energy throughout its fourteen rounds. Speaking of the Olympics, the event was actually founded by equestrian Jan Tops, who won a gold medal during the team jumping event at the 1992 Summer Olympics in Barcelona, Spain. The Longines Global Champions Tour kicks off next week on April 7th and attendance is free to the public with seating available on a first come, first serve basis. This year’s event will also mark the debut of the Global Champions League. 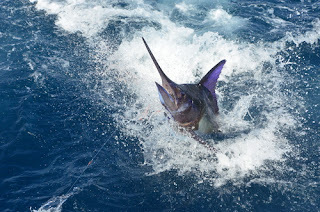 Now that the cold front has come and gone, deep sea fishing aficionados should start to find highly agreeable fishing conditions, leading to great opportunities to potentially catch large swordfish, wahoo, and kingfish. Prior to the arrival of the cold front and the large waves it caused, there was a fair amount of fifty pound kingfish and wahoos live baiting and trolling. Daytime swordfishing also resulted in fishes more than 500 pounds. In other news, urban canals turned out to be great opportunities for fly fishing during the past week, particularly for peacock bass. One fisherman managed to catch over thirty peacocks weighing six pounds in just two days of fly fishing within the C-100 Canal and C-8 in the cities of Kendall and Miami Lakes, respectively. In the C-9 of Miami Gardens, peacocks were also quite active, resulting in 35 peacocks caught weighing just over five pounds. Have you been fishing lately and if so, where have you seen the most fishing activity? 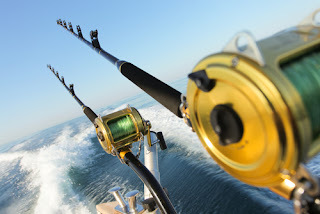 Fishing is one of the best activities to enjoy when you’re out boating. 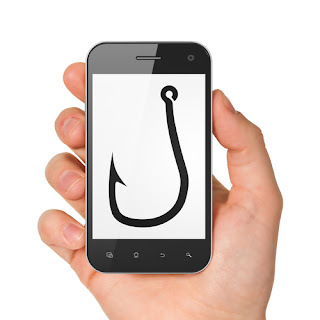 If you’re an avid fisherman, chances are you’ve got a tackle box bursting with gear to help you with that elusive catch, but have you ever considered using your cellphone as another tool? Whether it’s determining the best spot and time of day to catch fish, fine tuning your skills, or showcasing your catch with fellow fishermen, you’re bound to find a useful app. If you’d like to know where all of the fishing activity is going on, some local waterways, or keeping a log of the latest sea dweller that you’ve caught, Fishidy is a great and free option available for Android and iOS platforms. To find fish you may also consider Trimble GPS Fish Free which provides a wealth of information including current weather. It too is available for both Android and iOS. The FishBrain – Social Fishing Forecasting app is community driven and allows you to connect with fellow fishermen so you can find out what the best spots are in the area and what fish are biting. As with the other two apps, it is free across both platforms. Are you still recovering from the two-day Ultra festivities? It’s a new week full of new activities, and there are plenty of things to see and do. Best of all, each of these are free of charge so you can have some time to recover during this first week of the spring season. Have you seen any of the Pirates of the Caribbean films yet? The standalone sequel to the previous films, On Stranger Tides will be playing this Wednesday at Miami Beach’s SoundScape at the New World Center. The film stars Johnny Depp as in previous installments and also introduces new characters like the one played by Academy Award winner Penelope Cruz. Fancy yourself a budding writer? First Draft at the Arsht Center allows participants to create short stories while having drinks and socializing, the first one’s on the house! This event kicks off at 6:30 pm on Thursday. If you’ve never participated in the Critical Mass cycling event held every last Friday of the month, now is the time! The fun and free social gathering will be meeting at Government Center for a twelve to eighteen mile bike ride beginning at 7:15 pm. Are you a tennis fan? Did you know that Miami is home to one of the most popular tennis events in the country? Formerly known as the Sony Open, the Miami Open is second only to the Grand Slams when it comes to the number of attendees at an American tennis event. It officially arrived in 1987 and is now a two-week annual event featuring a $13 million prize. Some of the world’s best known tennis players will be making an appearance at this year’s Miami Open, including Swiss player Roger Federer who has consistently ranked within the top ten tennis players in the world, number one ranked women’s singles player Serena Williams and her sister Venus, Rafael Nadal, and many more. The Miami Open begins next Monday, March 21st and continues until April 3rd. Depending on how big of a tennis fan you are, tickets are available for purchase for a single day and there are also various packages available. 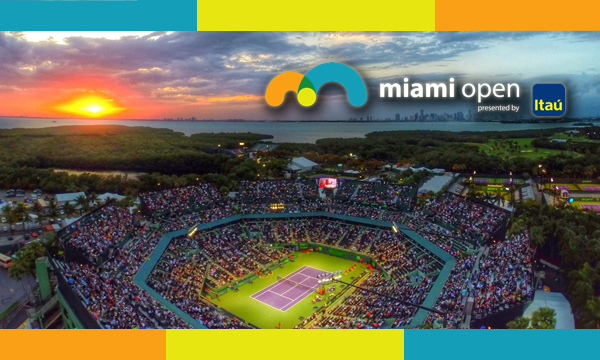 For more information on the 2016 Miami Open, visitwww.miamiopen.com. The spring season will officially be in full swing in just a couple of days, but many people are already enjoying their spring break. With the sunny, agreeable weather, now is the perfect time to enjoy a fun deep sea fishing excursion. With a charter boat you can remain close to shore and still catch some truly amazing big game monsters including the mako shark, marlin, sailfish, grouper, blackfin tuna, barracuda, and many more. The THERAPY-IV consists of a pair of 58-foot long sportfishermen boats equipped with large tuna towers to catch all of the deep sea dwellers plus giant outriggers, a flying bridge with a captain’s chair, an air conditioned cabin, plenty of wraparound seating and much more. Captain Stan Saffan has been fishing since the age of seven and is ready to help you make the most of your deep sea fishing experience. THERAPY-IV sets sail on a daily basis all week long from Haulover Park Marina and is available for private, corporate or groups. Today is the day for your voice to be heard in the loudest way possible, by getting out and voting. 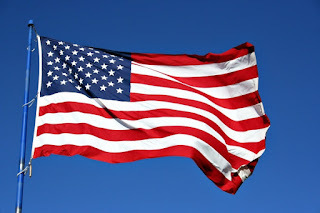 Super Tuesday is the day when voters will be voting within their own respective political parties for represent their political party in the presidential race. A growing trend has been to post on social media to share political opinions whether it’s through text, photos or sharing links. All the social media posts mean nothing if one doesn’t get out and vote. Every vote counts, many people feel there isn’t a point of voting assuming the outcome is already set or that it’s only one vote. That one vote becomes hundreds to thousands of votes. 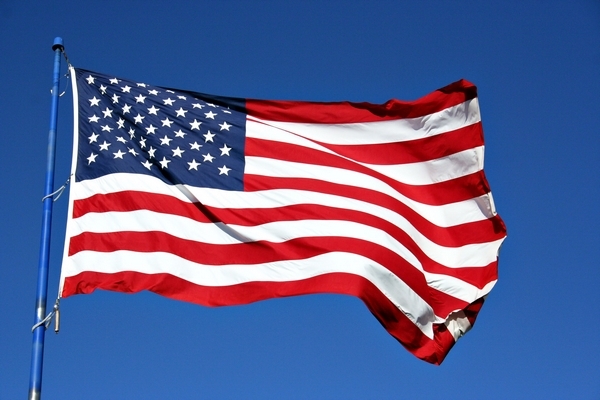 Now is the time to choose which candidate you want to represent your political party in the presidential race. Voting is a right that many Americans have fought for and continue to fight for. Being able to vote is a part of what makes this country so great, we have a voice to say who runs the government rather than being chosen for us. 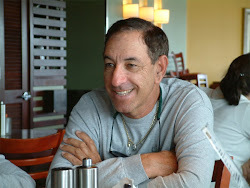 THERAPY-IV, a Miami Beach deep sea charter fishing boatservice, brought this update to you. This charter provides all of their clientele with a high-end deep sea fishing experience. With their luxury yacht, exceptional customer service and experienced and professional Captain and crew, visitors can rest easy, they will not only have a memorable fishing experience but will also have the pleasure of visiting the best spots off the coast of Miami and Biscayne Bay. To schedule a trip or to learn more about Miami deep sea fishing, contact 305-945-1578. It’s always tricky to accurately determine the moment a front will hit, as just about weatherman will attest. Any experienced angler knows that he or she should not plan their fishing trip around these fronts, but since all anglers closely monitor the weather, it’s wise to try and plan fishing trips just prior to the moment a warm or cold front is expected. In most cases, the two to four hours before a front is about to arrive are considered ideal times for fishing. However, it’s also possible to enjoy a great fishing trip during a rainstorm, provided the weather isn’t too violent. To highlight an example of ideal—or so not ideal—weather conditions for fishing, let’s take a brief look at bass. Bass activity is generally poor immediately after a cold front. Gamefish tend to go into a feeding frenzy of sorts when a mini front approaches. 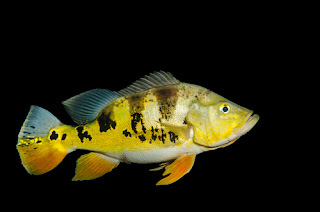 Though there is no concrete evidence to determine why it’s believed that fish may be able to perceive barometic pressure changes just prior to the arrival of a storm and, therefore, go on a feeding binge to account for less than ideal feeding conditions following the passage of a front. Have you noticed any ideal weather conditions when out fishing? Are you a fan of the University of Miami Hurricanes? You’re probably well aware that the team has a new coach named Mark Richt. The team recently announced its #BuildingChampions Spring Tour beginning in May that will kick off right here in South Florida before visiting seven other cities around the country including New York City, Orlando, Atlanta, and Chicago, among others. Blake James, better known as the Hurricanes athletic director will also be making an appearance at all but two of the tour’s scheduled stops. As for Mark Richt, he was formerly the coach for Georgia and should prove to be a popular figure during the team’s Atlanta stop. The Hurricanes tour begins on May 2 in Dania Beach at The Casino at Dana Beach located at 301 East Dania Boulevard. Admission costs $25 for the general public or $15 for the University of Miami’s Young Alumni, comprised of classes from 2006 through 2016. Admission for children ages twelve and under is also $15. Attendees will enjoy hors d’oeuvres and cocktails.